One is shown as a copyright and represents the first year that this particular model was approved for production. The first release is usually (but not always) the following year. The other date usually is stamped on the bottom as a letter with a number behind it -- this is the actual date of manufacture. This was implemented in 2008, starting with the letter A. The letter represents the year and the number is the week during that year that the car was cast and produced. A48 would indicated the car was produced in 2008 in week 48. It will be several months before it is released at retail. 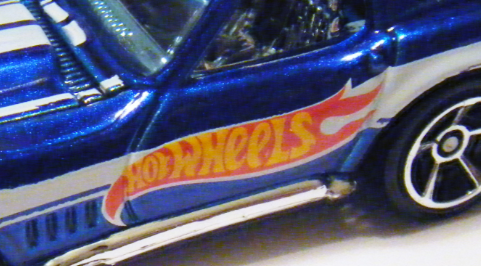 The Hot Wheels official logo and the Mattel corporate logo can also be present. The copyright year is useful as it often helps identify a casting. Please note that some of these pages are still under construction.